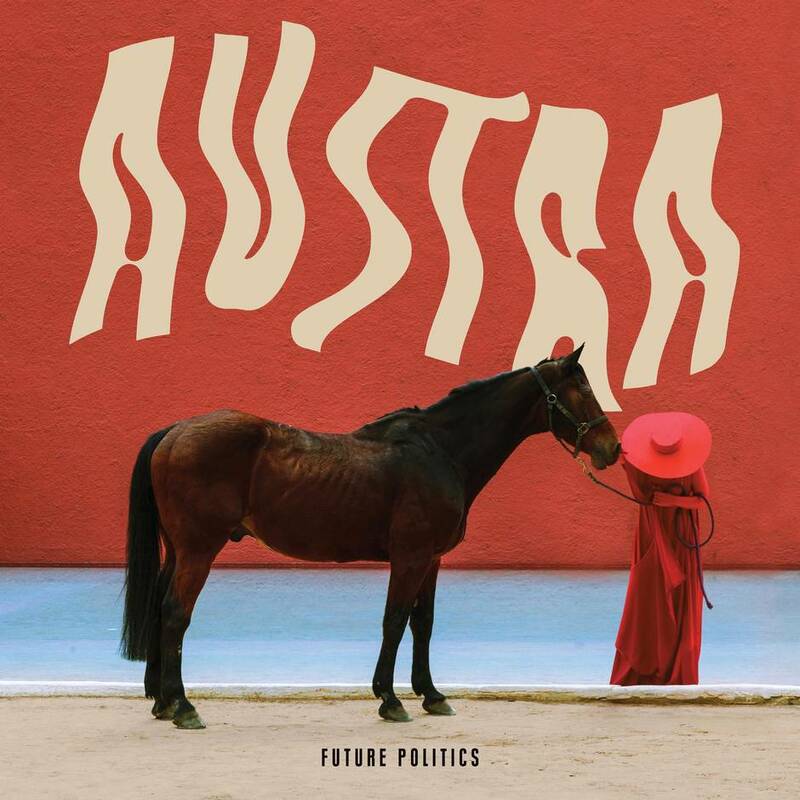 Austra’s third full-length album, Future Politics, is the result of a rare all-woman production team. At a low-key industry affair the week before the release of their new album, Future Politics, Toronto band Austra, encircled by friends, family and a handful of journalists, played together for the first time in a year. After roaring through the sprightliest tracks from Future Politics, lead singer Katie Stelmanis, whisky in hand, remarked that she and her bandmates had only one day to practice after being apart. "We're a little on edge," she said. Aren't we all. One could be forgiven for misinterpreting the album's Jan. 20 release date as a calculated response to the inauguration of U.S. President Donald Trump. The album's lyrics, oft suspicious and morose, also suggest a conscious protest against the current political environment and the darkness many communities feel it will bring – "the system won't help you when your money runs out," sings Stelmanis on the title track. On Utopia, an eerie rumination on feeling unfamiliar, she laments living "in a city full of people I don't know," howling "oooh oooh"s prowling in the background like a bad kind of ghost. As the album progresses, those sprightly single-ready songs descend into a haze of sinister, swirling synths – club music for sullen times. In actuality, most of the album was written in 2014, with the rest completed in winter 2015 during Stelmanis's sojourn to Mexico City. Austra's first album, Feel It Break, was released to critical acclaim in 2011, ultimately being shortlisted for the Polaris Music Prize. Its follow-up, Olympia, came out in 2013 and made the Polaris long list. The band has since occupied a unique position: beloved, but still on the fringe; adored, and obvious contenders for the next Polaris, but outsiders all the same. "I didn't care about ambiance with the first two records," said Stelmanis, a classically trained vocalist whose bold voice ripples through the soul like a wave (see: Spellwork and Lose It from Feel It Break and Fire from Olympia). "Singing loud was my way of being punk, my way of being aggressive. I wanted this record to be much less aggressive." Less aggressive, maybe, but no less the ruler of its own kingdom. On Utopia, Stelmanis sings a line that could soundtrack the interior monologue of any person whose accolades go unsung: "My work is valid, I can't prove it but I know." "I've been grappling with the idea of artist relevancy and how difficult it is to be relevant," she said. "It's confusing to think about what is and isn't relevant and what gets coverage and what doesn't. It's easy to be made to feel irrelevant. It's difficult to not take it personally." In terms of what actual future politics might look like, Stelmanis suggests something new entirely, not a reconstruction per se, but a conceptualization that doesn't yet exist. "I feel like we've spent so much time focusing on resistance and how to fight back and combat negative changes," she said. "I don't think there's enough emphasis on creating a vision for something better. Things are bleak right now, I think we can all agree. The rise of neo-fascism is scary. … The impending apocalypse seems so real." While Future Politics is not an album about Trump, perhaps it's not not an album about Trump, in that it virtuously confronts the enmity that has already accompanied his appointment as a world leader. The album, like the present, harbours a sense of daunting uncertainty. "I wanted to make stuff that was more dependent on ambiance and vibe," says Stelmanis, offering a musical explanation for the change in sound. "So I wrote songs that sounded like background music, and then realized halfway through that none of these songs would work live and my career would be over if I put out a record of background music." Stelmanis says that recording the vocals herself allowed time to explore the possibilities of her own voice, particularly on the sleekly euphoric Beyond a Mortal. "It's a really common way for non-singers to sing, but I had to record the track a hundred times to get the most small, whispery vocal delivery," she said. In Latvian, "Austra" – Stelmanis's middle name – is known as the goddess of dawn and light. May she be, if not a prophet of future politics, a comfort to those on the margins, and on the edge, in the years to come.